When visiting State College, choosing Fairfield Inn & Suites State College for business or leisure travel means you’re minutes from every attraction Happy Valley has to offer, including the Penn State campus, Bryce Jordan Center, Beaver Stadium, and Medlar Field at Lubrano Park. 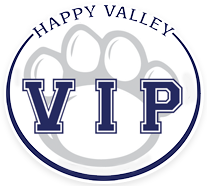 Fairfield Inn & Suites combines the amenities and accommodations you want with the convenient location you need for the ultimate Happy Valley experience. State College has a lot to offer, including incredible college sports action at nearby Penn State. Our Fairfield Inn & Suites offers the quality you have expect from the Marriott brand, so start planning your trip to State College today.